Tom Yoshimura is an internationally-recognized stylist who spent twelve years in New York freelancing and designing for the very best. His New York salon Hair Design Ampersand, Inc. has been voted the Best Hair Salon in NY by Yelp users, with branches in the trendy East Village and Lower East Side. In his illustrious career he has served over 30 nationalities and styled for New York Fashion week, CNBC, Vanity Fair, WWD, Vivienne Tam, Eileen Fisher’s fashion show and advertisements, and models and actresses like Padma Lakshmi. 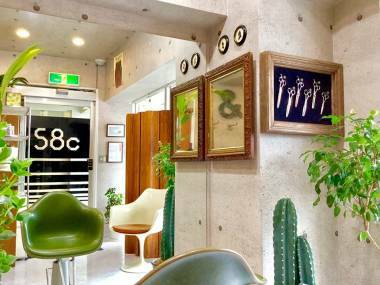 Now the lead stylist at 58c, which is located 5 seconds away from Exit 1 of Shirokanedai Station, Yoshimura is ready to work his style magic on Tokyo. The staff at 58c will attend personally to each guest, drawing each customer’s personality out in their style and creating the “best you” together. 10% off all services for first-time visitors who read Metropolis. Hair stylist Yoshiko Morimoto is on a mission to bring the high level of style and service available in Beverly Hills to Japan. But unlike salons in the most exclusive parts of Tokyo, Morimoto offers this in English and at reasonable prices. Having trained in London and at top salons in New York and Los Angeles—where her clientele included Hollywood entertainers and models—she knows how to work with Western hair. Upon her return to Japan in 2001, Morimoto opened Afrodita near Yokohama Station. Today, clients travel from Saitama, Chiba, and Yokosuka just to get styled. And as customers from many countries will tell you, Morimoto never fails to satisfy them with her eye for style, especially with trending colors. Just look at the Facebook page, which is full of positive reviews. Her friendly, international staff all speak English, as well as other languages from across the globe. Afrodita salon even stocks exclusive American hair care brand Redken. Follow the photos of her latest cuts and colors on Instagram. Metropolis readers who bring this ad for color treatment receive 10% off. Spring is in the air and Azabu Skin Clinic wants to make sure you’re looking your best with an array of non-surgical and surgical procedures. Get rid of wrinkles and sagging features with ThermaCool and Doublo S+, the highly advanced, non-surgical treatments that lift and tighten your skin. Also, try the thread lift procedure for a beautifully natural lift with minimal downtime. Look years younger with Hyaluronic Acid and Botox injections and, since summer is around the corner, get your beach body ready with effective slimming procedures such as Vanquish, Thermacool and Doublo S+ body. 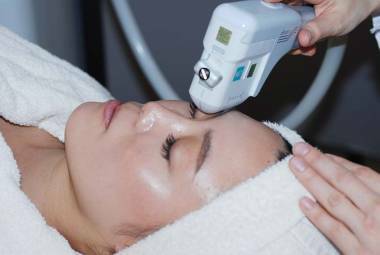 Skin whitening treatments—like vitamin C and glutathione injections, DIV, Laser facial, chemical peeling and photofacial—boosts your natural glow. Or, if you’re concerned with your energy levels, inability to concentrate, weight management or quality of sleep, perhaps your hormonal equilibrium is off-kilter, in which case Bioidentical Hormone Replacement Therapy (BHRT) is for you. Also, remove unwanted hair with the US-FDA approved GentleMax Pro – laser hair removal that’s perfect for all skin types. Feel younger and more energized this spring at Azabu Skin Clinic. We all want to turn back the years, but we want to do it naturally. Elana Jade has just the key to do that with Ilcsi Organic Skin Care, a method favored by celebrities such as Nicole Kidman, Gwyneth Paltrow, and Kate Hudson. The philosophy of Ilcsi—a brand born in Hungary—is “simple and natural,” and the treatment provides the benefits of a chemical peel without the potential long- or short-term chemical damage. In addition to organic facials, Elana Jade also specializes in waxing, massages, nails, eyelash extensions and more. They even have specific treatments for men, brides, and moms-to-be. For an escape from the chaos of the city, Elana Jade is the perfect oasis. Bring a copy of Metropolis to receive an Organic Peeling Facial for only ¥12,000 (¥2,000 off). Valid until the end of March; conditions apply. Li’a Makes is a women’s-only total beauty salon with all the amenities to bring out the best you. Conveniently located only five minutes from Roppongi Station, Li’a Makes offers its customers counseling and customized individual courses to help guests not only slim down, but also to change their bodies from the very fundamentals. 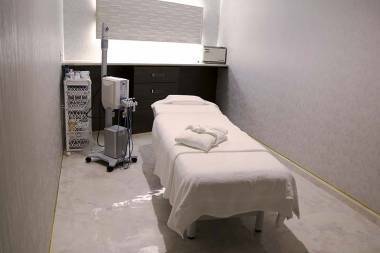 The salon has private rooms and a whole range of aesthetic treatments from facials to full-body massages, as well as muscle pressurization and skeletal adjustment. Li’a Makes only uses the highest quality machines, so clients can feel assured of their safety and efficacy. A popular salon for models and celebrities, Li’a Makes is the perfect for a special treat for yourself or as a place to go with your friends. Do you ever dream of losing weight? Have you ever successfully lost weight only to regain the losses immediately? If that’s the case, look no further. Smart MDSA in Azabu Juban is a salon that specializes in a new state-of-the-art slimming method. This new slimming trend involves freezing body fat to reduce your weight. The sessions are easy, painless and quick. More importantly, this method is effective at making you appear slimmer. The salon is equipped with cozy private rooms and English-speaking staff are also available to provide necessary counseling on weight management. 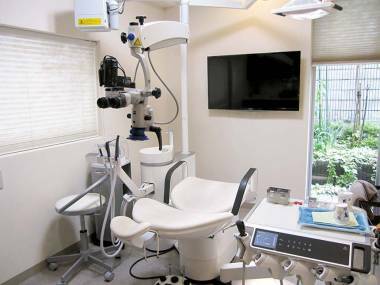 Located in a peaceful residential corner of Roppongi, Motoazabu Familie Dental Clinic is known and trusted by the local community for offering effective, worry-free dental treatment. With regular patients, Japanese and foreigners alike, residential and local office workers, Motoazabu Familie Dental Clinic understands the needs of every individual, and provides private, consensual, and secure consultations in one of their comfortable treatment rooms. Rather than simply whitening teeth, Motoazabu Dental Clinic considers the alignment and balance of teeth and gums to create a healthy environment for the whole mouth. Their patients are ensured healthy and beautiful smiles for a long time to come. Metropolis readers get 10% off all treatment for patients who do not have Japanese medical insurance. 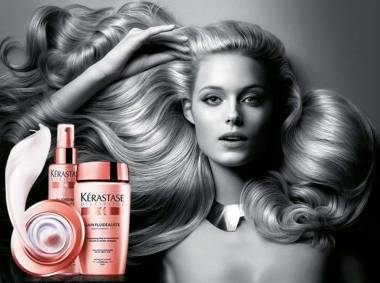 Mention Metropolis and receive a free Kerastase hair treatment (a ¥3,000 value) or 10% off all services (for first-time visitors only). Forbes called Aki Watanabe “the best hairdresser in Tokyo.” To visit Watanabe Hair Dressing is to experience the best of Tokyo’s hair salons, where English-speaking staff pamper clients from start to finish and use unique techniques to create sophisticated looks. 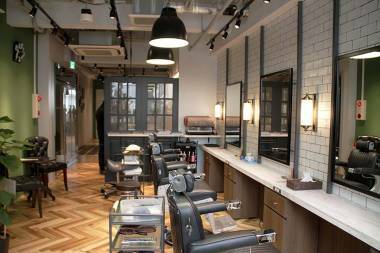 A long-standing fixture in Harajuku, the recently opened Hiroo branch offers a second, newer location to enjoy all the great amenities of a Watanabe salon. The stylist was trained at the Vidal Sassoon and Toni & Guy academies, delivering the highest-quality hair treatments. Aki has done hairstyling for magazines such as The Face and i-D, and worked for brands like Red or Dead. They also have a six-step head spa menu using 21 types of natural plant extract, which will nourish your hair and help sustain your hair coloring. You don’t have to be an A-lister to enjoy his latest styling trends and techniques—but you can definitely look at one. Even Brad Pitt recommends the Leonor Greyl products used in the head spa. 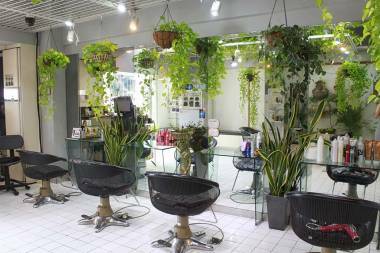 Pop in to a Watanabe Hair Dressing salon for great coifs at an affordable price for everyone. 10% off for first-time customers. 50% off head spa treatment.